1. When using it as a glider in no wind, what line do you use? I’m using the included 90 lb. Dacron, throwing the winder on the floor. Do you do the same or prepare a short (30-40 feet) set just for no wind flying? 2. I’m getting the hang of flying it as a glider, but still have some problems with the line. I keep on stepping on the line, don’t know if there’s a way around it. 3. Also got tangles with the lines on my shoes, but just changes to other sneakers that are less likely to snag a line. 4. Any adjustments to the tension of the spine needed? Any recommendations, tricks, insights would be greatly appreciated. Outdoors is fair game for any length, but I do prefer to keep closer. Obviously, the closer the kite is the faster its response to your input will be....further away it will take longer so plan ahead a little more. I like using thicker line 50/90# line on all of my xUL active flyers....you have better grip on thicker line and are also much less likely to cut yourself than if it is was thinner. A kite like the Wala will provide more than enough lift to pull the line up, and in a glide the slight extra wieght of the line hanging straight down can help the glide out as well.. I have a vague memory of never bothering to touch my spine tension....in theory you could tighten the tension up and that would provide more of a nose-to-tail bow which would allow the kite to turn and spin on the center of the spine....BUT....this may detract from straight line flying. And....if you want a kite that size that glides grab a Skate (Focus Desgins/Into The Wind) cuz' you will like that one even more! having a 75ish foot piece of 90# dacron or even a little heavier with a loop on one end and a knot about 10 feet in from the loop end was my preference. i certainly wouldn't cut a piece off the included line (cause i think you'd be cutting it in half), but if you could find another piece i'd suggest trying it out. the knot is for when you're paying out line as the kite glides away from you, you're made aware the end is coming as the knot slips through your fingers as a signal, and the loop allows you to comfortably hold and fly the kite at max length with a finger or two through the loop instead of having to grasp the line. with the wala, you may struggle to get enough glide out of it to reach the end of a 75' piece of line but with the shorter/heavier line, i found, it's much easier to manage. Line management is something to pay attention to for a while then it becomes more or less second nature. I start with a pile of line to my left and then pay it out and haul it back, always directing it to my left with my left hand, while "flying" with my right. you get in the habit of moving away from the pile rather that towards it if you need to move your feet. I like to walk around a lot indoors, so I end up with line off to my left trailing across the floor. Most of my indoor flying is in airports where I don't want to look like a dork stepping on my line. But indoors I'm on like 25' of line max depending on how much air space I have. I put the winder in my back pocket. if I need to move in a hurry I can just drag the line. I've had my line run over by those golf cart things more than once. My experience with UL single line glider kites (though not the Wala) is similar to Allen's. First, I go ahead and use spectra line, I like the thinness for the given weight, and a zero stretch line is fine for a UL. I actually use a line that's more like fishing line-spider wire is a good brand- because dual line spectra is a bit too slippery. Cheaper fishing line is not coated for low friction, and is easier to grab. I throw the line on the ground, and move laterally to any wind direction. Never stay in one place if you're piling line on the ground, it's just gonna tangle. If there's no wind, I'll make my way around in a giant circle. Thanks to all for the suggestions and hints. Have flown 3 times outdoors on grass. Still keep on getting tangled with the line there (more practice!). Once “indoor” on a concrete basketball court, although not really indoor because there were no walls. Easier on concrete for the line, was able to do some good glides away from me. Will try to get a shorter line without winder for “indoor”. Like how the included 90# lines feels. Will try to get some cheap fishing spectra or dacron. If it’s spectra, what would be something similar to in weight and line diameter than the 90# dacron? Don’t want something too thin that can tangle easier or cut my hands. Decided on the Wala because of the price/performance ratio. Did look at the Skate, but it’s more than double the price, and wanted something more rugged while learning. Also viewed the Emong and Prism’s Zero-G, but this last one wasn’t available. Any comment on these if I decide to get a second glider? If you want a funky glider and like a compound design (more than just a single skin delta shape) you might like the BiPlutz that ceewan made, I have a couple of them left. two skins stacked up, glides very nicely and climbs very well too! (good climbing ability of a glider gets the kite to a high altitude to be able to glide from longer of course). Line re. spectra: single line kite lines do not matter if they stretch or not...obviously the line is not being measured against a parallel line. And even if it were to stretch it would not make a difference. Any single line glider or xUL kite would never pull enough to make a discernible difference of line stretch, the kite would get destroyed before that happened...by design they should not pull much - not designed to! What is the packed length of a Ceewan Bi-Plutz? A bag - kites, B bag - more kites, C bag - even more kites...yikes! Forgot t to mention that I flew a Skyburner Aerolite at last year’s Blossom Kite Festival in Washington DC. Relatively easy to fly. That’s the one that got me interested in gliders. I think they are not making them anymore. Anyone had flown it? The Prism Zero-G is based on Ceewan’s Plutz. Any feedback on the Zero-G? Search the forum for into on the Zero-g iirc the Zero-g version does not glide as well as the Plutz3 (ceewan's version) but does a great job. Prism was able to create toms customized fittings that I know were slick for that kite. 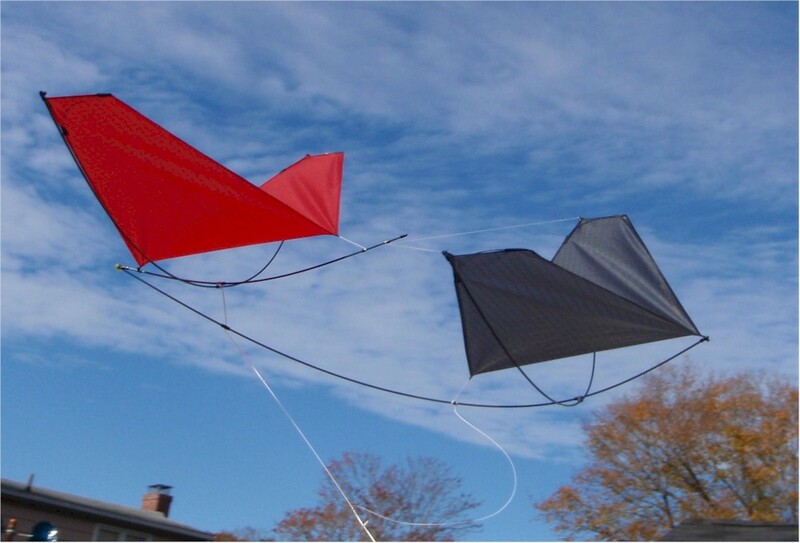 the 61/49 by Ken McNeill is a beautifully made light wind kite. Recommended! Totally agree if you can spend the $$$, but it is primarily outdoor only (I have heard of a someone trying to tweak it for indoors). I have both a Zero G and a Wala and like them both. I need a lot more time with them as I was just really "getting" them as the "season" was ending. However I found the Wala...for me....flys better in 0 wind and the Zero G is better when there is a little wind and at about 4-5 mph goes back in the case as then they turn into a regular single line kite which is not a bad thing at all. I also found the Wala to fly more directly overhead when in a "stable" position. So for me anyway it was one of those wonderful kiting dilemma's......had to get both and really depends upon the mood of the moment. I would love to get a Skate....that's next!! !